We have compiled a list of frequently asked questions to help you plan your trip to our destinations. 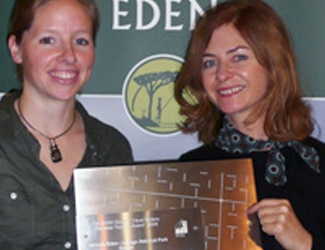 Africa’s Eden is a Tour Operator and Ground Operator, with its own accommodations in west Africa. ‘Tourism pays for Conservation’: profits generated by Africa’s Eden are reinvested in the area to ensure the continuity and economically sustainable protection of the national parks. We focus on the sustainable development of the regions where we operate and offer small groups of tourists the opportunity to experience pristine nature in unique, unexplored destinations. Africa’s Eden has a total of 75+ employees spread out in its various operations in west Africa and in its international office in the Netherlands. Our International office provides central reservation for individuals, on all tours, to the destinations we offer. Individuals can get quotes and make bookings via our reservation team. Tour operators can ask for a quote through our reservation team or by calling us directly. Africa’s Eden does not have any single-day trips listed, but does organise 3-day weekend trips especially for people living in the area. Is there any emergency contact details in place, via which families, friends and colleagues can reach us in Gabon? Will we have the same guide throughout our trip? Within every park we try as much as possible to let the same person guide you on your trips. However, every park and accommodation facility makes use of its own guides. We will also make sure that someone waits for you upon arrival at every airstrip or train station. Upon request, a private guide can be arranged (dependent on availability). Are people in wheelchairs and/or physically disabled allowed to go to Loango National Park? No. there are many tracks which people with physically disabled cannot go in Loango National Park, e.g. Tassi savannah, Akaka region etc. What is the minimum (max) number of clients per trip? There is no minimum, these are guaranteed departures. Are the facilities, such as meals and accommodation, tackle, internet facilities etc. available with fishing tour? All meals are included during the fishing excursions as well. There are internet facilities at the reception at Loango Lodge. For Loango we have a sea boot and the maximum on the tour is 6 fisherman to get the best experience for every fisherman. When is the best time to visit for fishing? It depends a bit on the type of fish people are interested in. November to February, with a high density of fish feeding around the mouth of the lagoon. Tarpon Fishing season runs from October to Mid-November. Can I visit other national parks in Gabon with Africa's Eden besides Loango National Park? No. 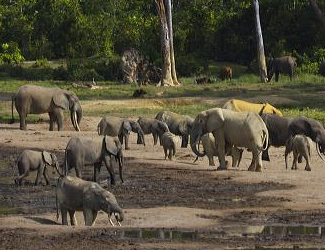 Africa’s Eden is only arranging visits to Loango National Park in Gabon. However it was possible to visit other national parks with Africa’s Eden, such as Ivindo’s Langoue Baie and Lope National Park. In Ivindo’s Langoue Baie, you can visit the platform from which you can view the animals that visit the Baie and you can make walking safaris in the surroundings of the Baie and the platform. While in Lope National Park, (which by car or by foot), it is also possible to join the WCS team to track Mandrills. In Mikongo camp, only walking safaris can be made. Are children allowed to have an overnight stay in Loango National Park? Due to safety regulations, it is prohibited for children under the age of 14 to have an overnight in one of the satellite camps in Loango national park. However it is possible to visit Loango national park with your children as long as you stay in Loango Lodge. What do you recommend with respect to tipping? Tipping is subjective to your appreciation. You can choose either to leave something behind in the tip box for all the staff or tip an individual. Are there excursions at night? Yes. We do have an excursion of sea turtle night patrol. Marine turtles have been coming to the beaches of Gabon, São Tomé & Príncipe for millions of years. Between October and April, four species are known to lay their eggs on our beaches, including the great leatherback. In this excursion, we invite you to accompany our eco-guides on their nightly patrols of the beach to supervise and protect the sea turtles as they crawl ashore to nest. Next to the turtle excursion we also offer night walks and start walks at Roça Belo Monte on Príncipe. You walk with an expert guide through the nights full with stars, a nice, exiting and different tour. Where is the best place for diving? Generally warm sea temperatures in the average vicinity of 30degrees Celsius. Where is the best place to go for honeymoon? Roça Belo Monte on Príncipe is a true haven of luxury and calm, offering the ultimate in comfortable and secluded accommodation. It is a wonderful place to relax and recharge your spirit, where there is also plenty here to explore and discover. It is very suitable for the newlywed couples to spend their honeymoon on this island. Do cell phones work in the parks? Yes. Cell phones work in several area of Loango National Park, and also work in most parts of Loango Lodge. In Sao Tome and Principe, you will have WIFI but there is generally no connection to a network coverage. Can you help me with international flights? We are not able to book your airline ticket, but we do advise you to contact us before booking your international flight to be sure that we have availability on your preferred tour. Please send your booking confirmation via e-mail to us. Your booking will be guaranteed after we have received a deposit of 20%. The deposit needs to be received within 2 weeks after the booking is finalised. The detailed day-by-day programme will be sent afterwards; it is containing all the relevant information about the trip. 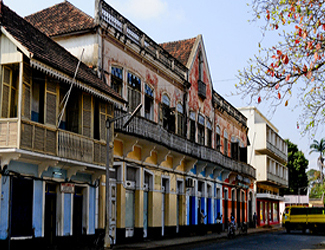 In addition, you will also receive an invitation letter to obtain visa to Gabon or São Tomé & Príncipe (obligatory). The balance has to be received 60 days before arrival. On receipt of your balance, we will send you the necessary vouchers you need to take in your hand luggage to Gabon and São Tome and Príncipe. Please check the Terms & Conditions of Africa’s Eden regarding payment information. Can we bring our own tent and camp? Africa’s Eden provides accommodation of high standards at all the sights you will visit. Due to security reasons, it is not allowed to camp on your own. Do I need to take towels, sheets etc? In every accommodation towels and sheets are provided, so there’s no need to take them on your trip. However, when staying in less expensive hotels in Libreville and Port Gentil like the Tropicana Hotel, note that only one towel is provided per room. Do I need to take any mosquito nets? The bungalows and tents in Loango Lodge and the satellite camps can be closed to prevent mosquitoes. The windows/openings are provided with mosquito screens and every bungalow is equipped with an anti-mosquito spray. However, the hotels in Libreville and Port Gentil do not have appropriate mosquitoes preventive measures. If you feel safer with a mosquito net, we recommend you taking a special travel version. Even more important though, is using a good mosquito repellent and keeping your skin covered (especially during the evenings). Also, we strongly advise you to take anti-malaria prophylaxes. For travelers to São Tomé and Príncipe it is not necessary to bring mosquito nets. Though it is advisable to always bring a mosquito repellent. Where can we have our laundry done? You can have your laundry done in Loango Lodge. There is also laundry service at Roça Belo monte. What voltage do the power points in Gabon have and what type of plug is required? In Gabon, São Tomé and Príncipe the voltage is 220V. The European two-point plugs are used. Where can we recharge batteries? You can recharge your batteries in Loango Lodge (Gabon) and Roça Belo Monte (Príncipe). Please note that you can recharge the batteries only up to 10 pm in Roça Belo Monte as the electricity will be shut down. Africa’s Eden grew from a pilot project named Operation Loango initiated in 2001, with the aim to conserve the pristine nature of Gabon through small scale tourism. 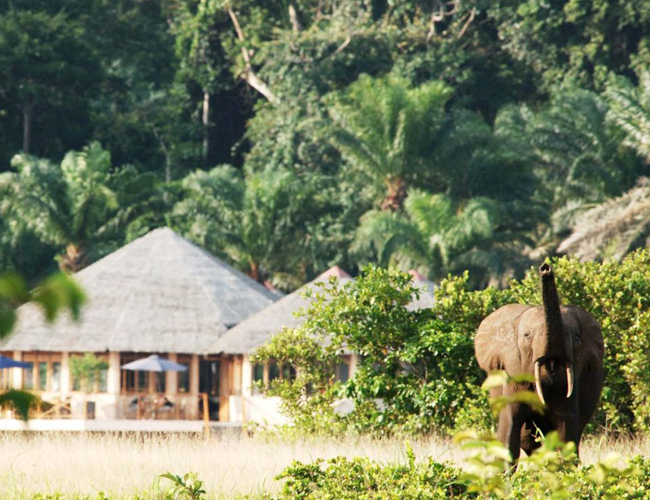 Africa’s Eden is a pioneer, developer and maintainer of west central African tourism. In this section we present you our latest awards and industry appraisals. Here you will find some facts about us. Africa’s Eden is a Tour Operator and Ground Operator, with its own accommodations in west central Africa. In this section of Africa’s Eden Press Corner, you will find the latest press releases on Africa’s Eden, its destinations: Gabon, São Tomé & Príncipe and the Dzanga-Sangha Reserve in the Central African Republic, as well as the conservation activities in the area.